There are numerous franchise opportunities available for people who want to bring a new business into their communities. However, more should go into buying a franchise than simply wanting to make money. After all, you want to be certain a specific opportunity is right for you and your lifestyle. There are certain questions you should answer before investing in a new business. It is a good idea to meet with a few different franchisors to get a feel for different work styles. Before you go into these consultations, you want to answer a few key questions. What hours do you like working? Do you like working a 9-to-5 position, or would you prefer something else? How often do you want to communicate? Do you like working directly with the public? By answering these types of questions, you immediately know whether a franchise is right for you. You do not want to compromise on key points. At the beginning, you should not be afraid to walk away from a potential franchise opportunity that does not feel right. A practical matter is determining how much money you can invest into this business. Meeting with franchisors will give you an idea of how much you will need upfront. You may need to invest your personal savings, but you will most likely need loans, too. It can take a while to turn a profit, so make sure you have some way to take care of yourself and your family during the beginning. You need to ask yourself what you truly want out of this business. Some people simply want a franchise as a side hobby. Others want to use it as a primary source of income. You also want to have one eye toward the future. Do you want to one day own multiple franchises, or are you looking to build equity? Additionally, what is your field of interest? Perhaps a restaurant franchise and a hair-care franchise are similar when it comes to the money or hours you invest, but which are you more passionate about? Choosing a franchise that is in a realm you are interested in can make the business more rewarding and prevent burnout. An additional set of criteria to look at is how involved you can reasonably be. Some people will want to take a very hands-on approach while others will want to hire managers to oversee day-to-day operations. You also need to consider whether you will be available during nights or weekends. If you only want a franchise where your involvement begins at 9:00 in the morning and ends at 5:00 at night, then your options are limited. It may seem counterintuitive to think about leaving a franchise before you even own one, but it is important to consider your long-term plan. Do you wish to one day pass on the business to your child? Do you only want to do this for a few years and then flip the franchise? Some companies have strict guidelines on passing the business from one person to the next, so read the terms and conditions carefully. There are many franchise opportunities out there, but investing in Best in Class may be just the way to go. Open a tutoring franchise in your city to really make an impact on young people’s lives. 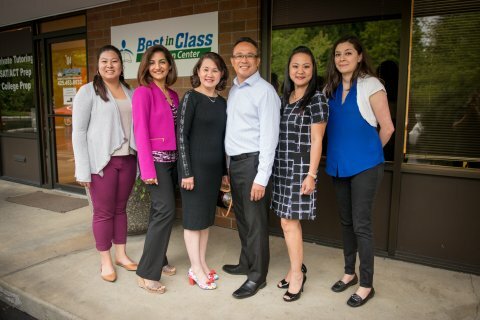 Submit an online form to find out if Best in Class is the right franchise for you.